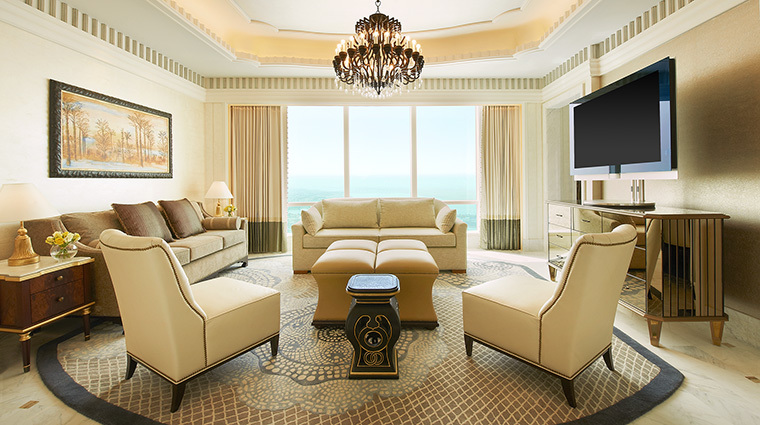 The St. Regis Abu Dhabi is the urban destination for the traveler looking for a refined atmosphere and city-central convenience without being too far from the sun and sand. Home to the Nation Riviera Beach Club, the luxury hotel gives you access to one of the capital’s most elite stretches of beach. An attractive grown-up getaway with its sophisticated atmosphere, the property is just as enticing for families. An engaging kids’ club and helpful staff throughout the hotel make even the smallest guests feel welcome. From the butler service to pampering spa experiences and superlative dining options — indulge in brunch in the hotel’s suspended suite (the world’s highest) or a dinner at sunset on the skyscraper’s helipad (the highest in the Middle East) — this is one of the best-equipped properties for a memorable vacation. If you seek opulence, you’ll find it here. With a creamy marble-clad and rich wood-accented lobby flanked by grand staircases, an ambiance of lavish indulgence is palpable at the Abu Dhabi hotel from the start. From standard rooms to the most elite suite, every accommodation has a dedicated butler offering signature services such as shoe polishing, luggage packing/unpacking and bath preparation. 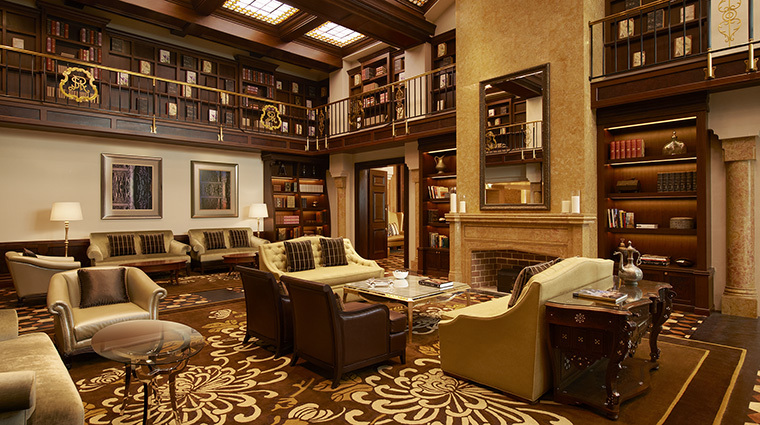 The St. Regis’ location is superb for those who want to eschew a drive to entertainment. The scenic Corniche is at your doorstep, the marina is just a 15-minute walk away and there is a direct entrance to Nation Galleria mall from within the hotel. A UAE institution, Friday brunch is a must-try and the hotel’s Terrace restaurant is the place to do it. The cozy space makes you feel like you’re at home — if only home had bottomless champagne service and all-you-can eat oysters. 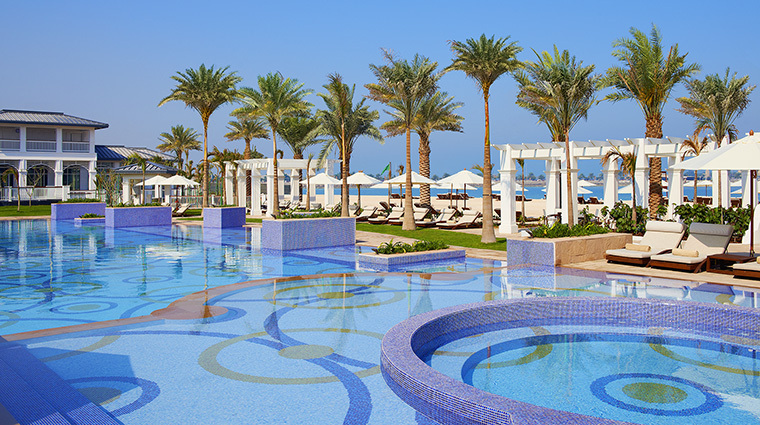 Follow the Abu Dhabi hotel’s air-conditioned and marble-lined tunnel to its beach club across the street. The plush cabanas are free on weekdays, and complimentary popsicles, mint-scented towels and on-point service through the day keep you refreshed. Arriving mid-afternoon with a crumpled cocktail dress is no problem for that impending dinner at Villa Toscana: hand off that rumpled frock (or suit) to your butler, who will have it freshly pressed and back within three hours. There’s a dedicated adult pool at the beach club, which can be quite popular, so arrive early to secure a lounger in that area. You can’t leave The St. Regis Abu Dhabi without experiencing a luscious treatment at the Remède Spa, where massages are tailored to whatever ails you. You do have the ability to make a coffee in your room, but why bother when your butler can speedily prepare one to your specifications with a simple WhatsApp request. 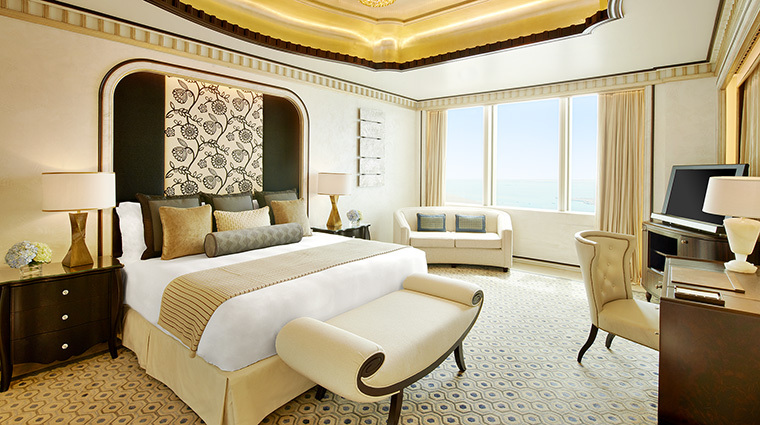 Splurge on the Grand Deluxe Suite. You’ll be rewarded with a rather regal abode that includes a brag-worthy bathtub with a view. 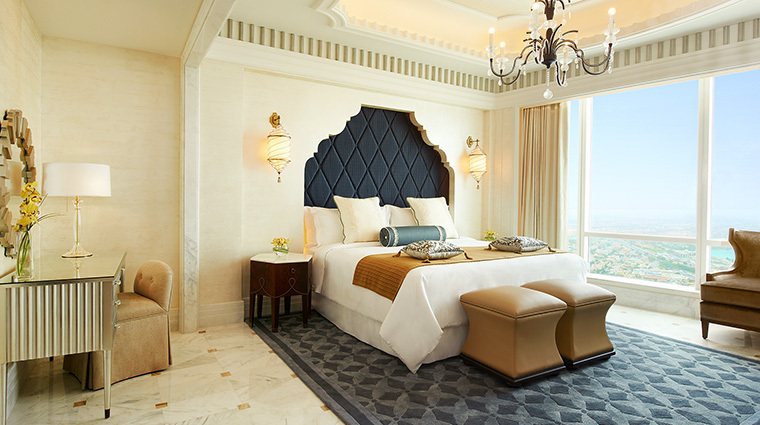 If you require silence to sleep soundly, request the highest floor available, as the traffic from the Corniche can be heard in the lower-floor rooms. Fisher-Price bath toys are provided in-room for little ones, and be sure to ask the butler about the special children’s bubble bath. Located across the street at the Nation Riviera Beach Club, Treasure Island provides a supervised kids’ retreat complete with entertainment ranging from a Nintendo Wii and crafts to its own pool. The team at the kids’ club is wonderfully hands-on and extremely attentive, allowing parents to take a break at the swim-up bar without worry.